Global smart spaces are intended to provide their inhabitants with context-aware access to pervasive services and information relevant to large geographical areas. Transportation is one obvious domain for such global smart spaces since applications can be built to exploit the variety of sensor-rich systems that have been deployed to support urban traffic control and highway management as well as within individual vehicles. 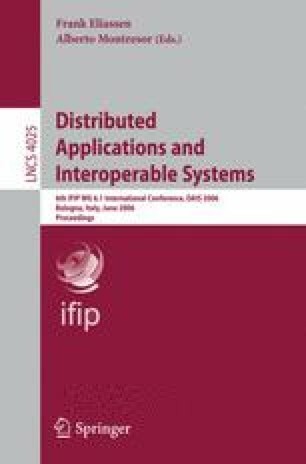 This paper presents a spatial programming model designed to provide a standardised way to build context-aware global smart space applications using information that is distributed across independent (legacy, sensor-enabled, and embedded) systems by exploiting the overlapping spatial and temporal attributes of the information maintained by these systems. The spatial programming model is based on a topographical approach to modelling space that enables systems to independently define and use potentially overlapping spatial context in a consistent manner and in contrast to topological approaches, in which geographical relationships between objects are described explicitly. Moreover, this approach facilitates the incremental construction of global smart spaces since the underlying systems to be incorporated are largely decoupled. The programming model has been evaluated by building a context-aware service for multi-modal urban journey planning, as part of the development of an overall architecture for intelligent transportation systems in Dublin.